Some cool goggles, worn for a reason and not just on a hat. 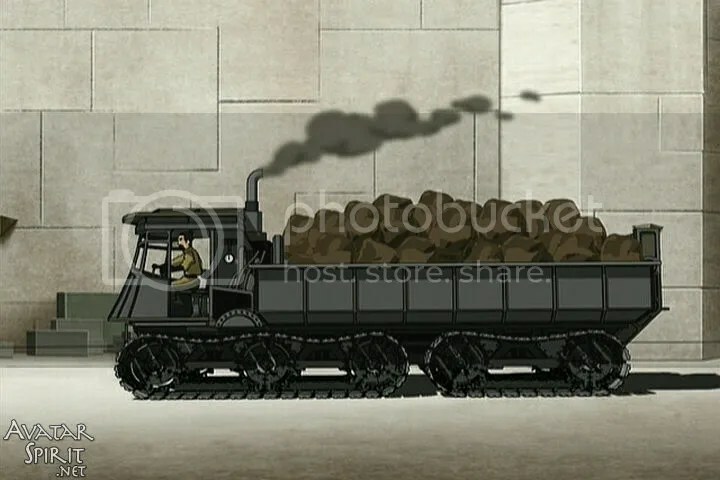 Avatar: The Last Airbender (A:TLA) is easily one of the best US-created animated shows in the last ten years, and not just because I consider it a great example of Asian-inspired steampunk (though it helps). 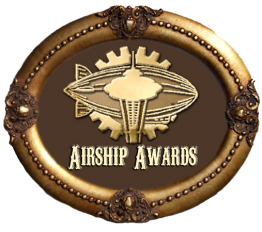 In terms of steam-worthiness, A:TLA not only creates what Asian steampunk could look like, but it places its steampunk technology within a cultural and political setting that speaks about technological development’s relationship with empire-building and the ramifications of global warfare. Pretty complex for a children’s show that aired on Nickelodeon. But its depth of storytelling, detailed world-building, and strong characterization attests to its wild popularity across all age groups. There are other assessments of the world of Avatar: the Last Airbender (A:TLA)–particularly Jha Goh’s article on “Kyriarchy in Avatar: The Last Airbender – Perpetuating & Challenging Oppression & Imperialism” and the Tor.com roundtable re-watch–so I highly suggest you go to them for a more highly detailed reading of the series as a whole. So instead, I’ll answer the question: Why do I think steampunks should watch Avatar: The Last Airbender? Warning: spoilers for the series after the jump. 10) It has Asian steampunk. Well, this is a bit of a “duh” reason, since I stated it was steampunk in my first paragraph, but let’s take a moment to see how steampunk is used. The world of Avatar is one based on Asian and Indigenous cultures. It’s split into four different nations based on the elements of earth, fire, water & air. In each nation, certain people have the ability to manipulate the said element of their nation and are called “benders” (metal also plays a role as a “bendable element” later on, for those wonder about use of five elements in Chinese folklore). All four nations are kept in balance by the Avatar, a reincarnated person born every generation who has the ability to control all four elements. The last known Avatar was Aang, from the nomadic Airbender nation, who mysteriously disappeared. 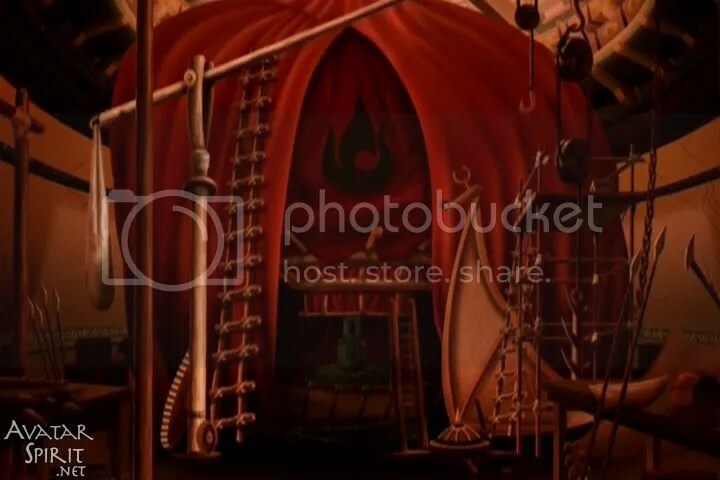 The Fire Nation has sophisticated industrial technology & metallurgy skills, technology developed in part with their Fire-bending training, and so they have all sorts of crazy steampunky tech. And what does it decide to do with all this tech? Well, why not try to take over the world, especially with the Avatar gone. 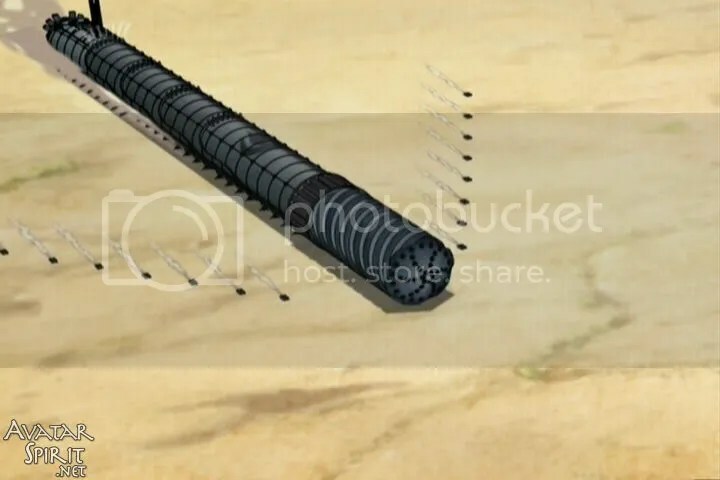 Below are some shots of the steampunk tech the Fire nation and other peoples use. For those unfamiliar with the show, I’ll give some rundown shots of the main characters (and you can always read more about them here). Prince Zuko and Uncle Iroh. Zuko, exiled from his homeland by his father, is on a mission to hunt down the Avatar to regain his honor and return to the Fire Nation. 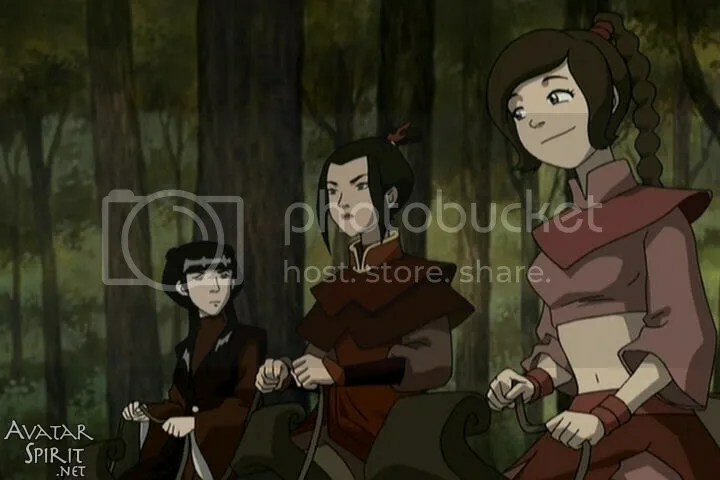 Azula (center) Zuko’s more cunning and talented sister with her friends Mai and Ty Lee. 9) It’s steampunk set in a fantasy world–but it’s not an exoticized fantasy. In this world, though the bricks and mortar of it are different from ours (and yes, A:TLA can be classified as part of the fantasy genre), the world of A:TLA does not rely of the cheap thrill of exoticism to attract its viewership. From an Orientalist perspective, the Other is treated as a spectacle and “not exactly like us” because of the differences in their culture/race/religion/etc; thus, when the Other is framed in this light, the Other’s life and culture is treated without equal respect and nuance when compared to the viewer’s own. This Orientalist perspective creates stereotypes against marginalized peoples and encourages the idea of non-Western cultural appropriation while maintaining a sense of Western cultural superiority. Instead, in addition to the fantastical setting, A:TLA’s world draws people in because the problems the characters struggle with are very real in ways that the audience can understand and relate to (and more explanations about that lie ahead). Treating the characters with this level of dignity and complexity determines the dividing line between a well-developed diverse world and an exploitative one. 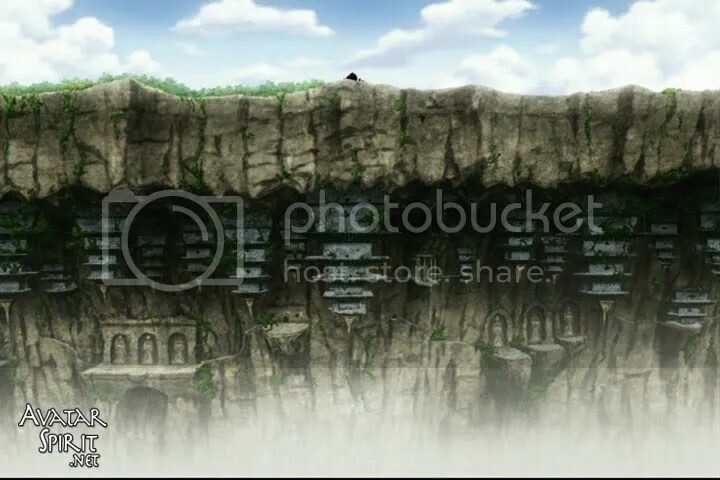 One of the most awe-inspiring set pieces from the show: the Western Air Temple, built upside-down beneath cliffs. 8 ) It has a multicultural, international cast & production crew. 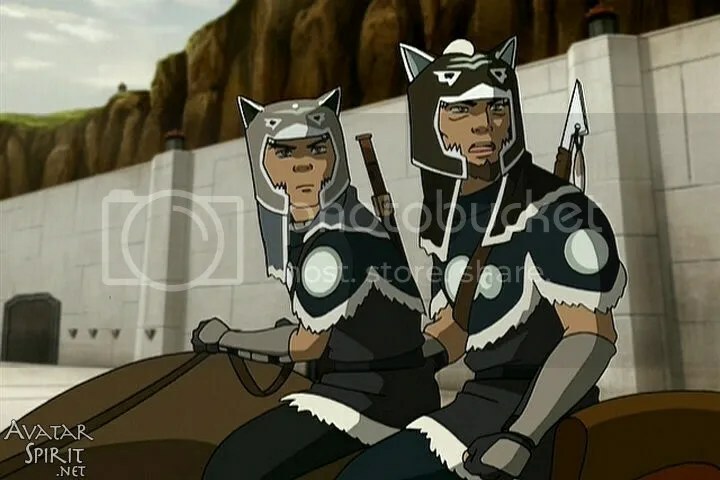 Part of the reason why A:TLA neatly sidesteps the Orientalist label lies in the fact that the creators Michael DiMartino and Bryan Konietzko reached out to enlist a lot of talent from the Asian community. 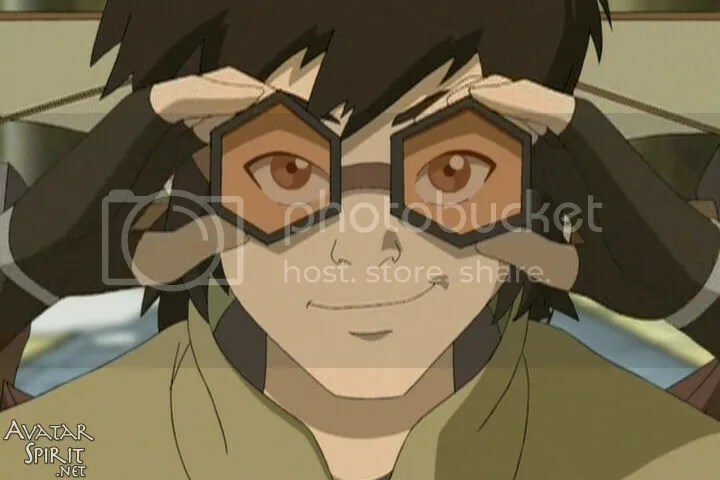 Sifu Kisu was the martial arts consultant for the show, and attributed different martial arts schools to each type of bender (and for some characters, like Toph, who is a blind Earth-bender, had her moves unique in the A:TLA universe). All the written script on the show was Chinese, and Dr. Sui-Leung Lee acted as adviser for all the calligraphy used. 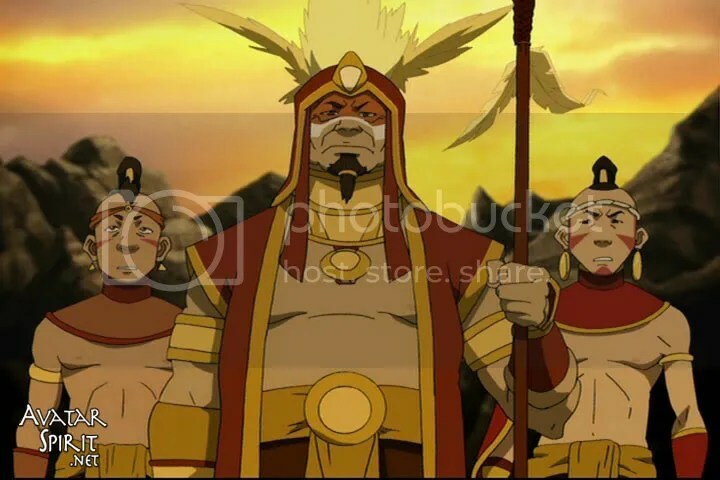 In Hollywood, where well-rounded characters are hard to come across for Asian actors, Filipino-American Dante Basco played Prince Zuko and the late great Mako played Uncle Iron until his passing near the end of the second season of the series. Asian-American actress Jennie Kwan also played Suki, the leader of the Kyoshi warriors. I was really impressed by the Korean artists’ talent and work ethic, but I was frustrated by the general system set up by various American animation studios. It was such a limiting and rigid system that didn’t allow for the Korean animators to show their creativity and do their best work. They weren’t given the time, budget, or incentive to try to augment the work delivered to them by the Americans–in fact they were generally penalized for it. When we joined forces, Mike and I not only had a story to tell but also a passion to restructure the system so the Korean animators could be treated more as artists and encouraged to add more to the show’s creative process, rather than merely executing the Americans’ ideas. A:TLA is not an example of the dominant culture indulging in an exotic flavor for their TV shows, but a work of storytelling supported by people from the Asian diaspora and the international community. A:TLA also stands out by telling stories that didn’t dumb down serious issues to the intended audience: children. 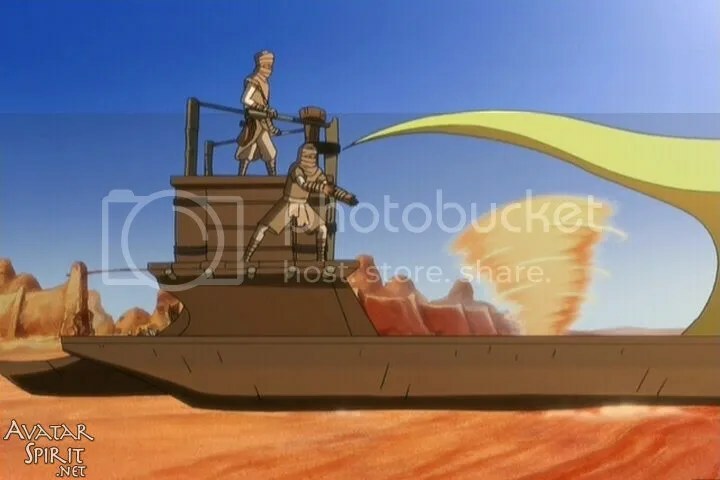 They did carry certain children’s shows standards: no one gets executed for wrongdoing in A:TLA, only exiled or imprisoned, and violence is never explicit, though there’s lots of action. In “The Puppetmaster” (308) one of the darker episodes, a character flashbacks to time spent as a POW. Some of the issues they talk about go into deep territory. After all, the series takes place in a world in the clutches of an imperialistic nation and the lead character is the only survivor of a genocide that has killed off his entire people. 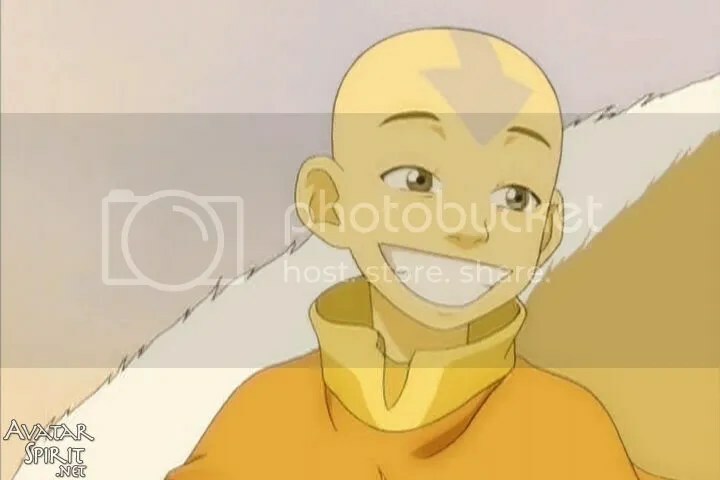 Aang, underneath his sunny disposition, carried the emotional guilt of abandoning his people and the moral struggle in how to fight without killing. Several episodes deal with the different social and ethical problems faced by refugees, war prisoners, and totalitarian societies. It also deals with different types of loss. 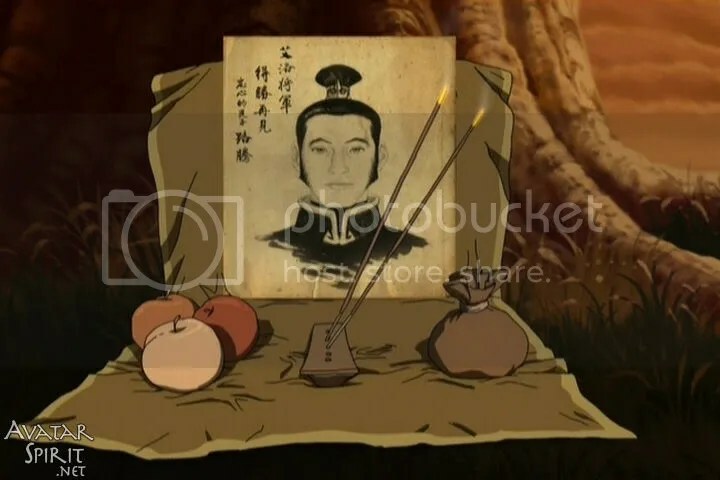 One of the most heart-wrenching moments in the series was the story of Uncle Iroh celebrating the birthday of his son who had died as a soldier. From “Tales of Ba Sing Se” — a lost son. A:TLA’s approach to storytelling has garnered it a wide audience, both adults and children. 6) …but it can be still funny. The charm of all these characters also lies in their humor. From Sokka’s sarcastic wit to Uncle Iroh’s flippancy and love of tea to the many failures of the Cabbage Man, there are too many bits that made me laugh out loud for me to list here. 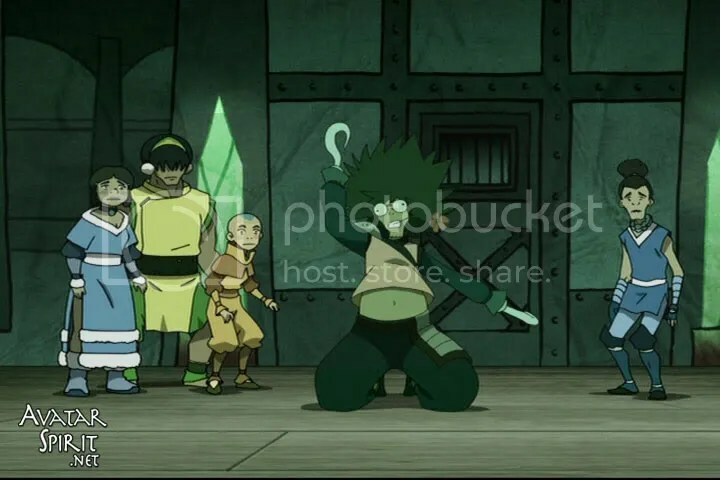 Some episodes premises are blatantly ridiculous, (but still story-relevant), like the introduction of Toph, who is the elusive fighter in an underground wrestling tournament that resembled the WWE (and featured a cameo by Mick Foley). The best comic episode (written very tongue-in-cheek and oddly foretelling the atrocity that is the N. Night Shyamalan film) is “The Ember Island Players” in the third season, where the characters go see a play a theater troupe wrote about the now-famous exploits of the Avatar… and gets them all wrong. 5) Even the supposed “bad guys” are complex and sympathetic. Though the principal enemy country is the Fire Nation, many Fire Nation characters are portrayed as sympathetic. 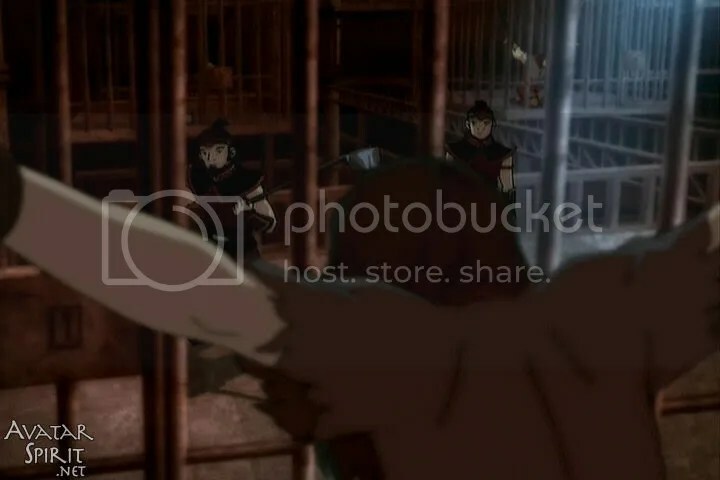 Prince Zuko, who starts off as the lead baddie, undergoes a dynamic change throughout the series as he discovers the roots of his rage behind “the pursuit of the Avatar” and struggles with his abusive father. Uncle Iroh, seen as a failed leader by his nation and often resented by the oft-angsty Zuko, nonetheless is a clever and wise mentor figure. Jeong Jeong was a high-ranking Fire Nation leader who deserted the army, but that does not mean he automatically resolves to fight alongside Aang, instead choosing to live his life in hiding as a cynical man. Ty Lee has such a sunny and good-natured personality that you can’t really believe that she’s willing to fight alongside her friend Azula, Zuko’s cruel and ambitious sister. And many of the citizens of the Fire Nation are actually living in poverty as the nation’s resources have evolved only to support the military-industrial complex during the hundred years of war. Likewise, other characters who are supposedly on the “good” side do terrible things. Fong, a desperate Earth general trying to stop the war, turns to hurting the Avatar’s friends to coerce Aang to cooperate. Jet is the charismatic leader of a band of Freedom Fighters who also uses bullying, harming civilians and even murder to reach his goals to fight the Fire nation. And the most frightening character to me is Hama, and I won’t even explain what she learned to do with her Water-bending powers. BAM! Putting in the knocks against patriarchy within the first five minutes of the series. The feminist attitude isn’t always in your face like the above example, but the world of A:TLA shows again and again how women are equally capable as men. Armies from all four nations are co-ed. 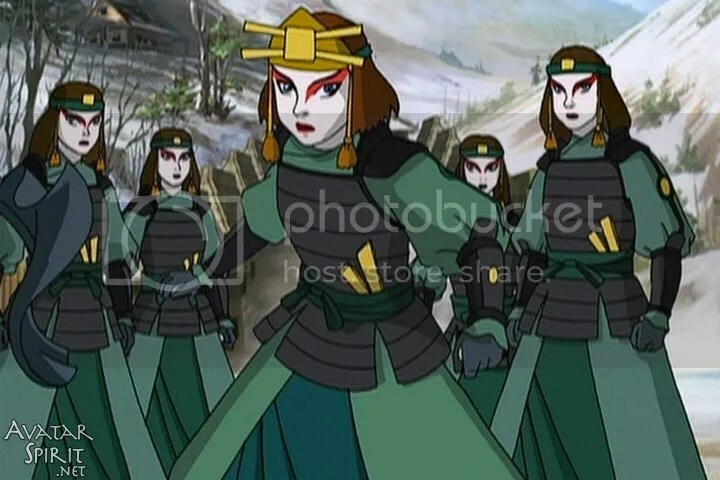 The Avatar can be either male or female, and Aang talks with several of his past reincarnations for guidance, including the Earthbender Kyoshi–there is even an all-female fighting force called the Kyoshi warriors inspired by her. Azula is favored by their father because she is seen to be like him–and more capable than her brother; and naturally, her father awards her the title of Fire Lord (not Fire Lady or Fire Queen, showing that the title of Lord is gender-neutral in the Fire Nation). A feminist perspective is also seen in the range of female characters that exist. Whether a female character is kind, spiteful, “macho”, apathetic, or self-sacrificing, each one has her own independent agency and makes her own decisions about her life. 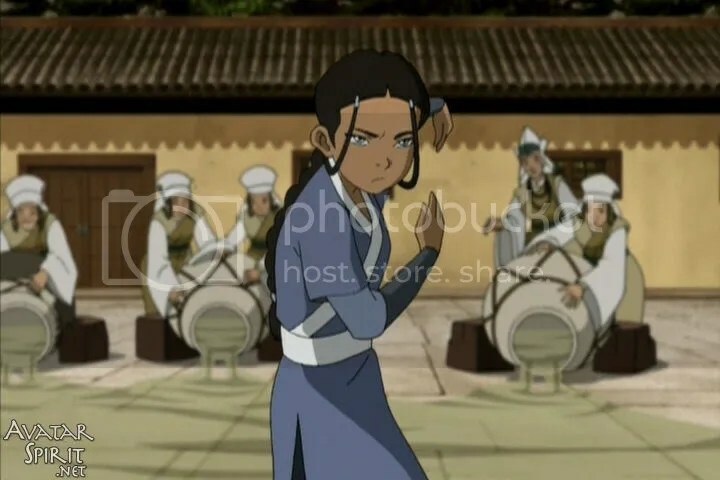 Katara challenges the Master Water-bender from the Northern Water Tribe when he refuses to teach her because it’s a against his tribe’s customs to teach women how to fight. 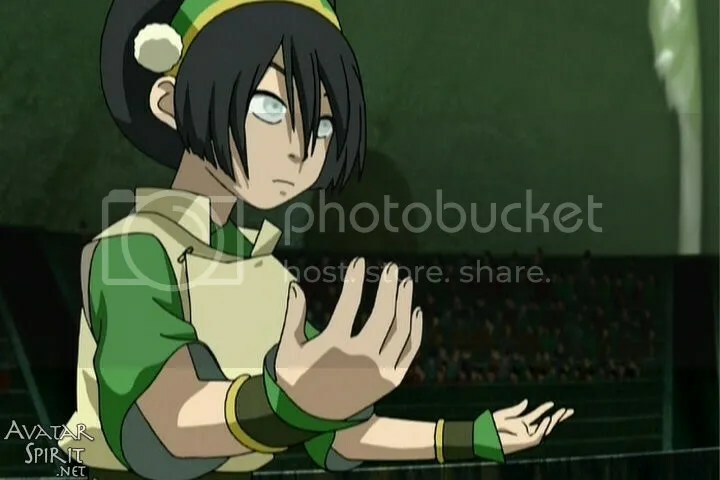 Toph, who was smothered by her overprotective parents because she was seen as fragile, sneaks out of the house, becomes a self-taught Earth-bending Master, and moonlights as the “The Blind Bandit” in an underground pro-wrestling league. Even Princess Yue of the Northern Water Tribe, who can easily fall into the “noble sacrifice” stereotype, struggles against her arranged engagement and chooses to die for her own cause: to protect her people during a climatic battle with the Fire Nation. 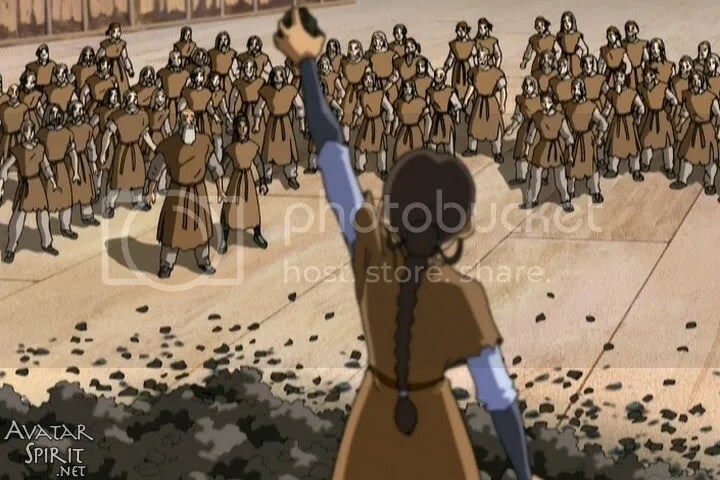 In the episode “Imprisoned” (106), Katara helps inspire a rebellion on a prison ship. 3) It’s all about Love. I’m not talking about a Team Edward, Team Jacob love triangle crap. I’m talking about friendship, the bonds of family–or learning how to find a new one. 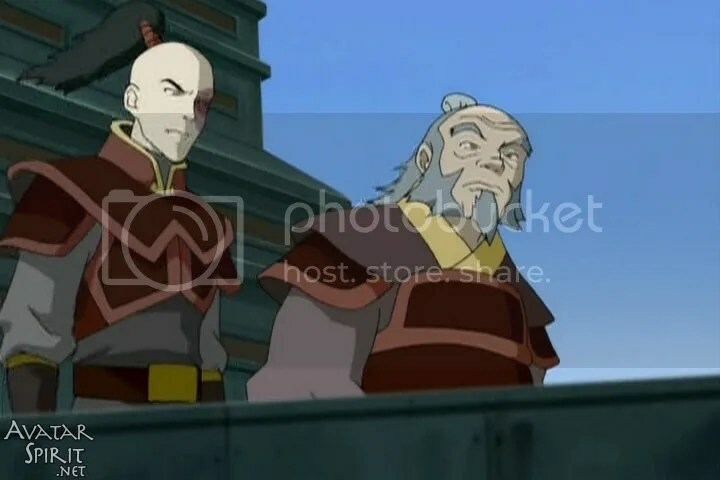 The friendships formed by the GAang throughout the series, the twisted love Zuko strives to get from his father and the real fatherly love Uncle Iroh offers, the sacrifices that various characters make in order to give their loved ones a better life: whether its immigrating to another nation, betraying their ethics in order to protect them, or being separated from them in order to ensure their safety. There’s a lot of darkness in this series as I’ve pointed out before, but it’s the strong motivations of the characters and their relationships that help bring in the light as well. And when romance does happen (and there is a little of that), it feels earned and the effects of that linger throughout the series instead of just being a flash in the pan or drawn out melodramatically. 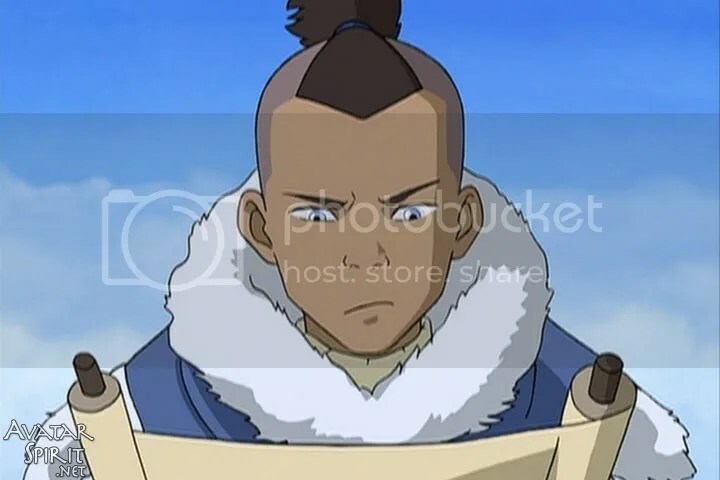 For an example of what I mean, Sokka is changed by the mutual crush he had with Princess Yue, and his love for her leads him to a more deeper connection that develops between him and Suki. 2) So, A:TLA’s not just the Hero’s Journey — it’s everyone’s. As a writer and performer, nothing keeps my attention more than a well-constructed story arc. And A:TLA does it in on all levels: the entire series had been plotted out by the creators from the beginning, so they knew it wouldn’t be a show that would drag on season after season, like most American TV shows. Because of its limited run, they were able to build solid seasons’ worth of material that balances out character and plot. You can follow Aang’s progression into maturity as he learned how to master his skills to confront the Fire Lord, but along the way, the rest of the GAang grow up too. Katara becomes the Master she always wanted to be. Sokka becomes a warrior and is able to lead an army of his fellow tribesmen. 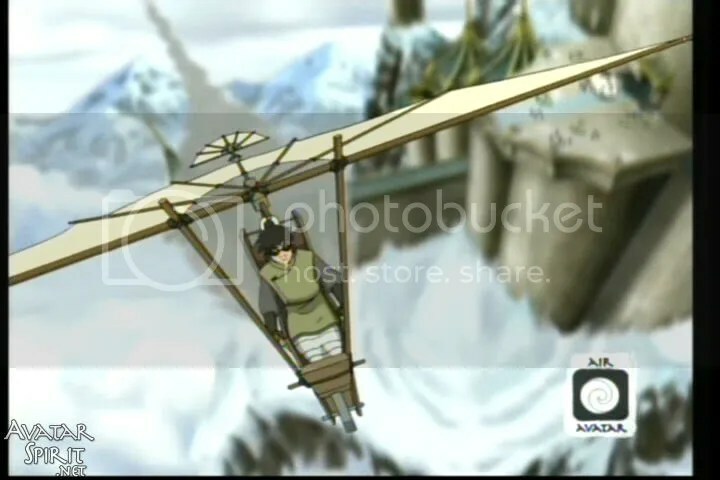 Toph gains her independence while still being able to keep her connection to her parents. Most remarkable is Zuko’s anti-hero coming-of-age story, one that is much more complicated than Aang’s and extremely satisfying to see come to term. A story that knows where its going and doesn’t hesitate to make the choices it needs to keep its direction strong–even if it means not lasting forever–is a direction that I wish more US television series would take. 1) The story doesn’t end when this series does. So the world of Avatar is growing up. What next can we expect? 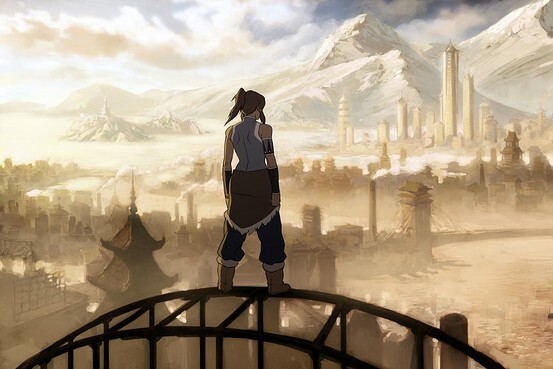 Until the sequel hits, I highly suggest you go and check out Avatar: the Last Airbender–and join me in anticipation for even more Asian steampunk goodness to come. Racebending – An online group that was formed during the filming of The Last Airbender film to protest its whitewashed lead casting. 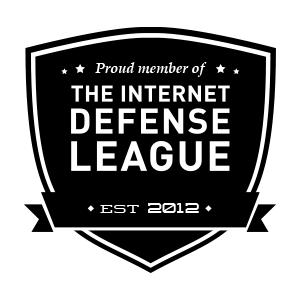 Now it is a general social justice advocacy group that covers minority representation in visual media. Outstanding piece, madam! I have been a fan of Avatar: The Last Air Bender since I caught it watching the young ones ages ago, and it has been one of my favorites ever since. Your outline of Avatar certainly touches on so many of the reasons why I was able to watch it with a wide-eyed sense of wonderment, and your analysis of the script-writing is spot on – too many a fictional series, be they on the small or large screen have logic fall to the wayside and resort to convenient deus-ex-machina, but Avatar has a solid story throughout its run. 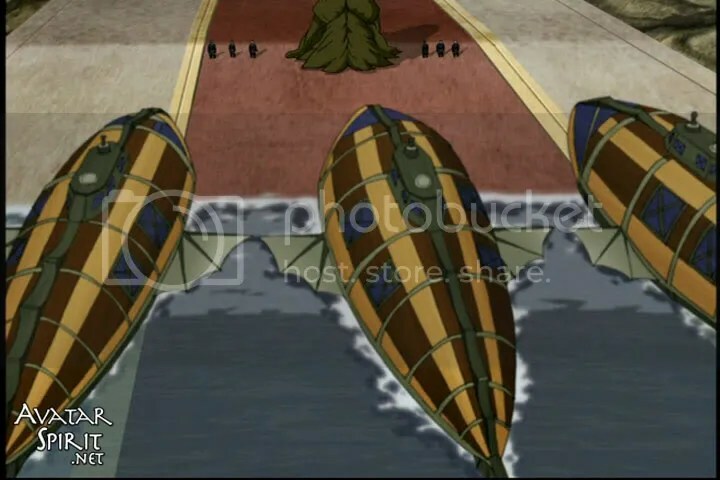 Additionally, much of the Steampunk aspect of Avatar is viewed (generally) as a “matter of fact” in the Avatar world (with exception to the unique war machines, of course). It is nice to see Steampunk mechanics as a part of “every-day life” and the fictional world. Will the sequel be as good as the original? One can only hope so! Still, thank you for the well-written article, here’s to holding one’s breath that The Legend of Korra will be a success as well! A:TLA is one of my favorite shows and I can’t wait for Korra! Great list! =D I’m not a big crying during tv shows and movies kind of person, but there are so many moments in A:TLA that get me. Top of the list is when Iroh celebrates his son’s birthday. I love that story! A few years back I passed by my younger daughter as she was watching cartoons. I glanced at the screen and said “They’re storming the Forbidden City!” She explained that it was not exactly, but the attention to the architectural details impressed me. 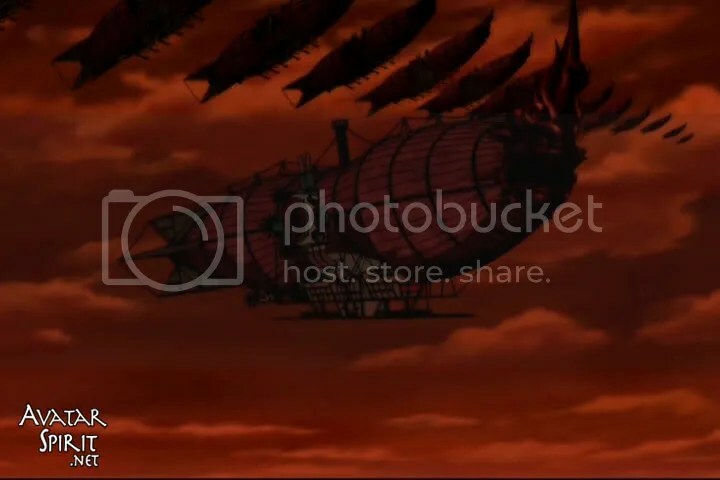 After I saw the Fire Nation’s airships, I decided to watch the show. I am still impressed. Quite simply, the show is a classic. It’s an example of detailed, nuanced world-building, characterisation and narrative, and it Gets It Right. I’m very glad to hear that there was a similar process of Doing It Right going on behind the scenes, too. It definitely inspires my writing work. Another thing that I think it’s useful for is as an illustration that people can do things right and still make something successful – that we don’t need to cling to the old, worn Orientalist stereotypes in our media for “marketability” or “accessibility” purposes. It’s a trail I’m very glad has been blazed, and I earnestly hope that more good works will follow in that trail. Wow, saw this on Twitter and instantly had to read it. I love the show(maybe more then my younger brothers and sisters, who are the right age for it), and I can’t wait for The Legend of Korra! I can’t believe I watched the whole series without realizing the huge amount of steampunk involved. 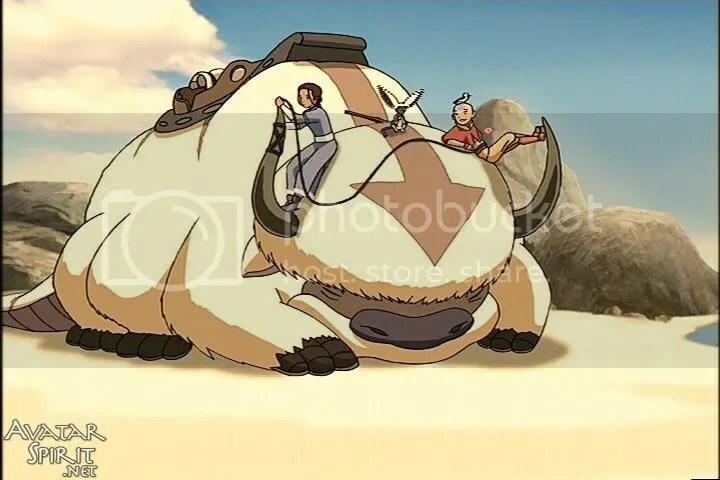 I mean, there was the obvious stuff, like the Fire Nation’s air ships and such, but it never clicked in my head. Thanks so much for your insight! I’ll definitely be back to your blog. 🙂 Oh, and as a parting question: Who’s your favorite character(s)? Hi Emily, and welcome to the blog! 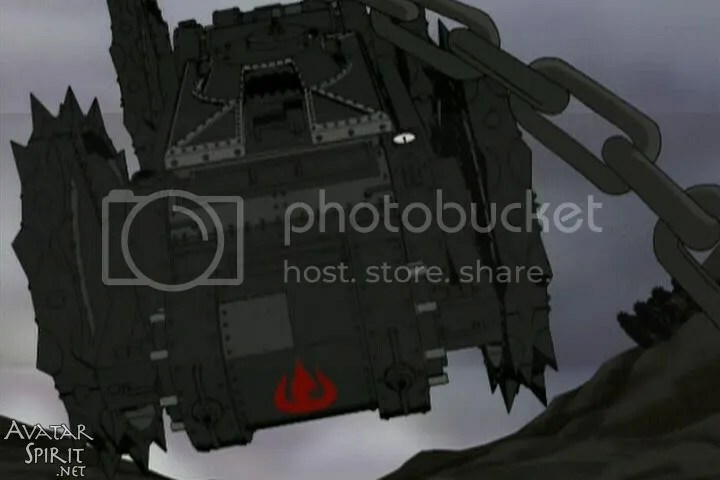 I first heard about Avatar from all of my friends years ago when it first aired, but didn’t get to watch it myself until sometime last year, and it struck me how awesomely steampunk it was. Glad you stopped by and hope you stick around. I’d heard of Avatar: The Last Air Bender and meant to watch it and after reading this wonderful piece I’m even more compelled to get a copy! Neat. But I do have something to say (although I might catch fire for this), while A:TLA is a great show…I really don’t consider it a true masterpiece. that’s something that I reserve for somthing like Aeon flux, batman:TAS, akira(more or less, since I prefer the original manga more), cowboy bebop and gankutsouo. mainly beacause the ones I mentioned above did something innovative and original with either thier animation, charactors or even thier stories. don’t get me wrong, I love this series, but if you strip away the asian elements, the story itself could have easliy been a third-rate HP knockoff. I do agree that there are other really good animated shows out there. Batman:TAS is also one of my top shows too, especially for its time (1992-1995), where it took the big chance starting out since it had no American predecessor that approached children’s TV with that level of sophistication before. Gargoyles (1994-1996) shares the mantle for complex storytelling in the US too. And, of course, Japanese animes regularly take more mature approaches, tackle adult themes, and use experimental techniques in a way that US animation can’t really shake a stick at, but that’s because Japanese animation is used for all kinds of storytelling in Japan, while the US is still working on that (and their adult animated shows can’t measure up, besides the golden years of The Simpsons and the run of Futurama IMHO). (BTW, in the future, I’ll be looking at Japanese animes as well, with Fullmetal Alchemist (both series) being next on my list).